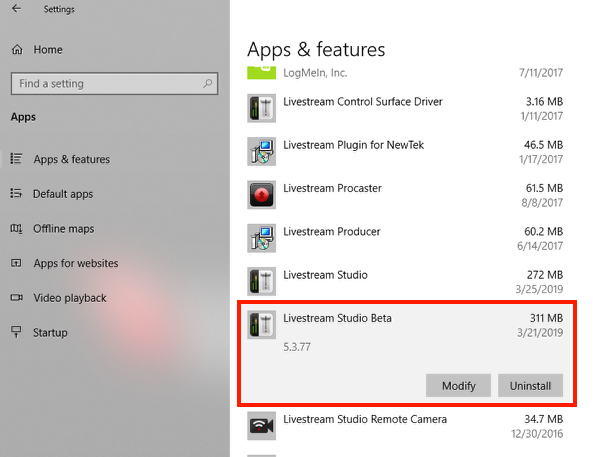 To uninstall a Beta version of Livestream Studio, first make sure that Studio Beta is not running, regardless of which operating system you are using. 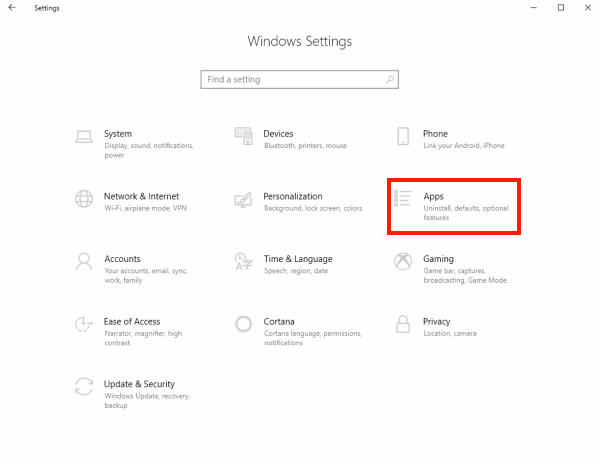 Go to the Settings menu in Windows (Start > gearwheel), and select the Apps menu. If you are using an older version of Windows (i.e. Windows 7), go to Control Panel > Uninstall a Program. Find and select Livestream Studio Beta, then select Uninstall. Make sure you selected the Beta and not the main "Livestream Studio" program. Follow the on-screen prompts to run the uninstaller. Once Studio Beta is uninstalled, you can download the desired version from this page. To uninstall Studio Beta from a Mac system, open the Finder and locate Livestream Studio Beta in your Applications folder and click and drag it to the Trash. Alternatively, right-click Livestream Studio Beta in your Applications folder and select Move to Trash. Make sure you selected the Beta and not the main "Livestream Studio" application. 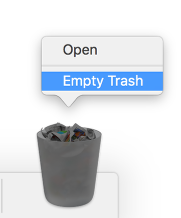 Once Livestream Studio Beta is in the Trash, right-click the Trash icon and click Empty Trash. Livestream Studio Beta is now uninstalled. You can download the desired version from this page.